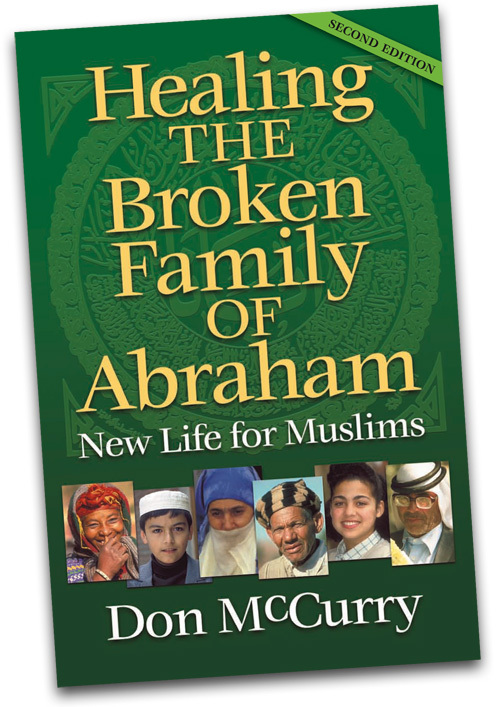 Healing the Broken Family of Abraham: New Life for Muslims: This book falls into three major parts. The first has to do with the biblical account of Abraham and his two sons, Ishmael and Isaac; biblical prophecies about both of them and their descendants; and how Islam in its major sects developed from Muhammad's Arab religion. The second part has several chapters on insights into attitudes and issues to keep in mind when working with Muslims. The final section includes specific clues in relating to each kind of Muslim, how to deal with their questions, principles of discipling, and incorporation of those who believe into the Body of Christ. There are valuable appendices and a complete listing of biblical and Quranic references, plus a glossary and index.